If two full awards (that would be great), the selection of SpaceX and SNC would be AWESOME. From NASA’s perspective, assuming all three contractors’ solutions are technically and programmatically viable, it would seem Boeing and Space-X would be the most logical choices since it appears SNC’s DreamChaser may go forward even without NASA funding. That would give NASA three alternatives at the cost of two. That also applies to SpaceX but not it seems to Boeing which has stated that they’ll have to ‘revisit their business case’. That comment alone, suggests a lack of committment and an ‘oldspace’ viewpoint. It’s well known that they have invested the least in terms of their own funds and their vehicle,while a safe choice, is the least capable of all the participants. SpaceX has the capsule version plus a bunch of technology improvements whilst SN has a low g solution, technology improvements over shuttle and can land on pretty much any reasonably sized runway – pretty much any one capable of supporting commercial jetliners. I don’t particularly like Boeing’s technical choice or their approach to the competition. But hey, who the hell am I anyway? My thoughts on the subject are not going to change the outcome. IMO – Boeing is a standout, SNC is second & SpaceX a distant last (misses out). Boeing is well connected, has a known track record, used to doing business the Government/DOD/NASA way, employing a tried & true technological approach and knows how to look after the right people etc. It is that confident of being awarded the (main) contract, it has implied that if it is not successful, then it will “get its bat & ball and go home” i.e. as far as Boeing is concerned there is no business case to build CST-100 if no public funds are involved. Not that it necessarily would not proceed, but it allows the more experienced to say to the less experienced, “hey, we (meaning you) shouldn’t upset the “Big B””. 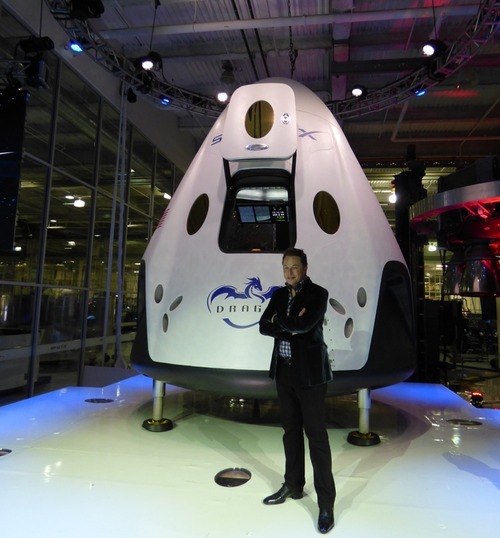 For not placing SpaceX, Elon Musk is going to build Dragon regardless. He needs a delivery system to the Martian surface and Dragon’s it. I also feel it’s a slam dunk for Boeing. They are a known quantity, their approach is tried & true and they’re a part of the Club. It will take a brave person within NASA to select SpaceX, with their bold and innovative approach, which, if pulled off, will dramatically reduce overall costs. I just don’t see conservative old NASA having the “cahoonas” to go with SpaceX. I don’t share your high opinion of Boeing. The CST-100 breaks no ground and its alleged reusability is open to serious question. Despite bragging about how many legacy parts CST-100 allegedly contains, Boeing is also bringing up the rear when it comes to actually assembling a flyable vehicle. Boeing has yet to fit out a production facility for CST-100 either. Then there’s the fact that NASA has permitted Boeing to continue in CCDev without putting in any significant tranche of company funds while still getting the largest chunks of the program funds available. Boeing’s attitude is one of sloth, entitlement and arrogance. Given that NASA actually needs a vehicle it can count on to get crew up to and back from ISS, it would be odd to pick the backmarker in this contest over the leader. It would be especially odd to pick two entrants whose launch vehicle of choice is the highly problematic Atlas V. I never discount the power of inertia and political influence, but choosing Boeing would be seriously contrary to NASA’s interests. I don’t think it’s going to happen. That said, I agree that a downcheck for SpaceX would hardly be a disaster. I think such a move would virtually guarantee a first manned flight by Dragon V2 next year, for example. I must also note that I second Bob Jones’s statement about the EELV launch thing being an entirely separate issue. But SpaceX is going after EELV for the same reasons it is pursuing Commercial Crew. It thinks it has the best and lowest cost solutions on offer and intends to get the lion’s share of both. No, the two are quite unrelated. You can bet your “cahoonas” (??) on that.